These basic Turning Tools are so nice, they come in their own see-thru presentation case. 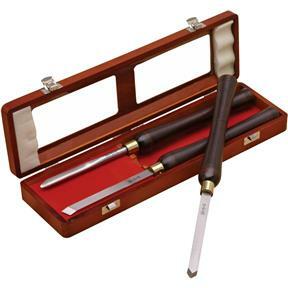 The set features a 1/2" Gouge, a 9/16" Double Bevel Skew, and a 9/16" Parting Tool. Each turning tool measures 16-1/4" long with 10" ash handles. 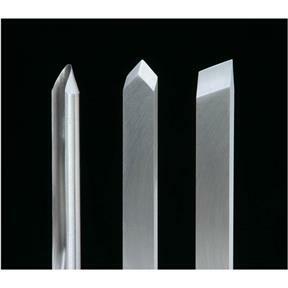 Extra thick HSS blades resist heat damage during use. This set is all you need to start turning wood!